If you want to upgrade your backyard into the best place for leisure time with your family and friends, a well-designed and well-built deck is definitely the option to go for. Decks are an excellent way in which you can arrange garden furniture, backyard lighting, and other outdoor objects to create a peaceful environment for spending quality time with your loved ones. If you want to start investing time and creativity into your outdoor space, you will need to start with a deck. Without a deck, pieces of furniture like a table or chairs won’t be as easy to set up. A deck provides a flat and secure surface for garden furniture to be assembled, without sinking into your sod. However, building a deck – and home decking in general – is an intricate process that requires the right materials and the right background knowledge to carry out properly. In this regard, we have put together the ultimate guide for home decking, which will teach you everything you need to know about how to build a deck. We will explain what materials you will have to buy for a quality deck, what to look for in a professional decking team, how much building a deck will cost you, what common mistakes occur in the process, and more. Gather information and pave your way to the deck of your dreams! Even though building a deck is indeed complex, it is not impossible. The process becomes even easier if you have the materials you need and the professionals to aid you in your home improvement project. As you will soon find out in our thorough guide, sometimes an extra pair of helping hands that possess the necessary expertise will do a world of good. Even though you might be a bit apprehensive if you’re planning to build your deck on a budget, you would be surprised to find out that professional assistance isn't as costly as you would first imagine. We’ll get more into this topic a bit further on. A critical part of preparing for your deck is planning the project. You will need to sketch up a building plan, a layout that will set your construction guidelines. One of the most important parts of the planning process is determining the size of your deck. You need to consider the width of your house and how long your deck out into your backyard will go. Even though you might dream of having a luxuriously large deck, you need to consider your budget every step of the way. Naturally, the more materials you use, the more expensive your project will be, so treat your planning with seriousness and with finances in mind. 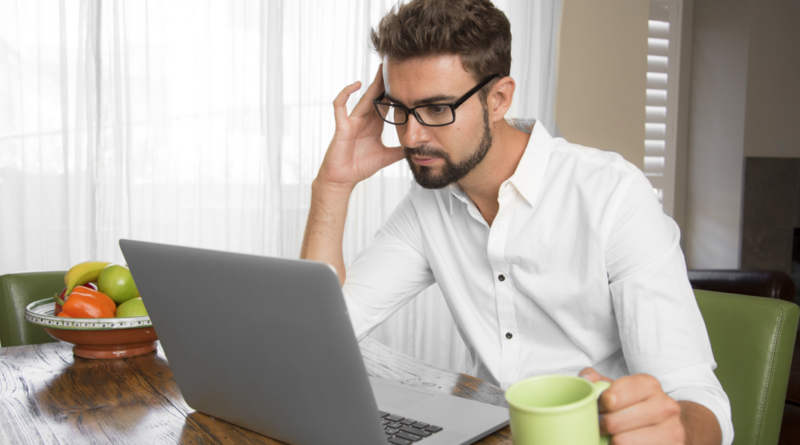 Numerous ambitious home owners go through planning their project without paying too much attention to the amount they will have to pay for materials and labour. They end up exceeding their budget and not being able to finish their project. After planning and budgeting, the most significant parts of the process you will need to consider will be the materials you use, how you can work with a pro team, and a few price estimates for your project. While home decking projects vary, depending on the size of the deck, there are a few common aspects that everyone needs to be aware of. Together with beams, posts are fundamental materials that will secure your deck’s weight. Posts need to be thought of before beams, as they are the vertical materials that will keep the horizontal beams pushed up and secured. Posts also establish how high your deck will be; the longer the posts, the taller your deck will turn out. What you need to be sure of is the installation of posts; if posts are not secured tightly, the weight of your deck might not be supported properly. This is yet another reason why you should consider a team of professionals for helping you build your deck. As we previously mentioned, posts and beams go hand in hand when building a deck. These are the horizontal materials that will go over the posts and contribute to the foundation of your deck. In this regard, it is recommended that you go for a screw-built deck instead of one put together with nails. Even though joists might be associated with the floorboards of a deck, you need to know that these materials go under floorboards and support them. They are also made of wood, but what sets them apart from floorboards is that they get connected directly to beams. If you will personally be shopping for joists, make sure that the joists you choose are as defect-free as possible, as to not affect the long-term structure of your deck. The most well-known material in the deck-building process is the floorboard. As their name suggests, floorboards are the basic planks of wood that will serve as the floor of your deck. While the most popular and accessible decks are made from wood (like cedar, pine or redwood, to name a few options), you can also build your deck from stone or composite material (recycled materials). If you’re building your deck on a budget, lumber is the best value you can get. Railings provide safety for your deck, from all points of view. Homeowners with limited money can go for classic posts as railings, while those with a more generous budget can choose glass and cable as to not block the view of their backyard. Posts and beams are irreplaceable materials for your deck projects, but piers are the truly essential parts that will keep your deck together. These materials are secured into the ground and hold up your entire deck. Without piers your deck has large chances of sinking, so make sure that you pay special attention to this aspect of your project. Even though not all decks require ledgers, the ones that are connected to a house will not be able to function without them. Homeowners who choose to have detached decks don’t need to consider this aspect. Those who want to have their decks attached to their homes need to have a well-installed ledger to the side of the house that they are planning to build into. If not built in well, your deck has chances of being destroyed and harming both those standing on it and your home. Just like with all the materials on your shopping list, a team of builders will help you make sure that your construction is safe. Another optional part of your deck is a small staircase. A deck doesn’t require stairs to be well-built, but they will help your family and your guests explore the rest of your backyard on your sod with ease. Keep in mind that building stairs will add to the final costs of your project, so weigh your options and see if you really want to have them incorporated into your plan. As promised, we will continue with guidance on how to find a great construction team you can count on for building your deck. Like we explained when describing the materials you will need for your deck, all of these require extended care and attention, not only for aesthetic purposes, but most importantly for safety. To get a better grasp of the situation, think about how many people will be passing on your deck throughout the years. You want to build a quality deck that will withstand weight, weather, and other conditions, so you should really consider getting professional help. As with any other professional service you want to buy, it is highly recommended that you do your fair share of research before hiring a team for your deck project. Apply the journalistic rule of checking through at least three sources and always do a bit more digging, even if you feel you have found the ideal team. Write down the pros and the cons for all of your options and see which team meets your requirements the best. Even though you might find an amazing company to work with, it might not help that much if they’re far away from you. It is best to search for companies that are closest to your area, especially to save up on transportation costs. By choosing a team from your city or community you will also be supporting your local economy. The more benefits a construction business offers, the more credibility it has on the market, and the more they care about the customers they are working with. For example, if a company has an extended guarantee, you know that you will be working with quality materials and professionals that get the job done right. Free estimates, discounts, or additional promotions are also perks to look out for when choosing a reliable team to help with construction. A well-respected construction company will always offer you a variety of choices when making your purchase for their services. You won’t be pressured into buying a specific material or labour option; you will be encouraged to look through their plans and offers and choose the one that is best for you. Another aspect you should keep in mind when choosing a construction company to work with is their availability and flexibility. If you can clearly see contact details posted throughout their website, it means that they are open to being contacted on your time. This is really important to keep in mind as you will need to work with the team on your time, not theirs. Before you get started with planning your deck, you should know that considerable costs will be involved. Even though you can shop for inexpensive materials, we highly recommend that you invest in quality ones that will guarantee a long-lasting deck. You will be making an initial investment, but the better the materials and services you buy are, the more durable your deck will be. As an average, a good, solid deck should hold up for several decades. Moreover, decks can be planned and designed in an infinite amount of ways. It all depends on how much building space you have at hand and what base materials you want to use (composite, timber, stone, etc.). Of course, costs are directly proportional with size, so a larger deck will subsequently require a larger budget. As an example, most of our decking systems (slats and boards) cost R 745.00 per board and are 5.8 metres long, 150mm wide, and 25mm thick. An average deck size can be 3.7 m x 7.3 m, 7.3 m x 4.9 m or 4.9 m x 3.7 m, just to name a few. To find out how much the materials for your custom deck will cost, use our convenient decking calculator. Now that we have covered all of the basics you need to know when building a deck, it’s time to go into the fine details of the process. As the saying goes, the difference truly is in the details, and this general rule will always be applied for home decking. By far, the most important aspect of all is getting all of the materials put together properly. We really can’t stress enough the seriousness of this aspect, as terrible accidents can occur when all of the pieces of the puzzle aren’t placed together the way they should. A poorly-built deck can lead to dangerous situations in which the exterior of your house can be ruined or. This fact can also lead to your guests getting hurt if a deck sinks or collapses. Professional help is always recommended when building a deck, especially for the reasons mentioned above. An expert deck builder will know how to assemble the piers, joists, posts, beams, floorboards, and other parts of your deck so they will fit securely. For your information, we have included a few of the frequent errors that occur when decking below, as well as several frequently asked questions and additional tips and tricks. Planning is as vital as decking gets. Even though you might not possess the necessary knowledge to put together a deck design for yourself, you can contact a professional and work together to plan your dream deck. You could purchase the most expensive materials on the market and they would be useless without proper sizing and spacing calculations. Make sure that you buy the right amount and length/ width/ height materials that go hand in hand with your deck plan. While this aspect is debatable, most professionals would recommend a connected deck instead of one that is not attached to a house. Not only is it more practical, but it is also more durable and built to resist throughout years and years. You might be head over heels in love with your deck at first, but you need to keep in mind that you will need to maintain it as time passes. On this note, be careful with your choice of materials regarding durability and find a team of maintenance professionals in your area that can help you with any issues that might come up along the way. 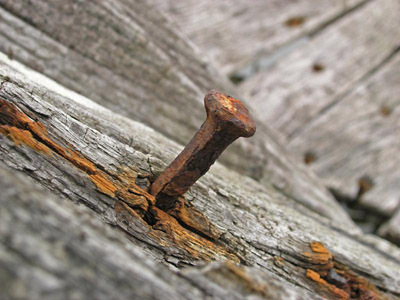 Untreated steel will lead to maintenance problems and additional costs in time that could have been avoided. Not simple steel, but galvanized steel is required for your deck to avoid rusting and other effects of being directly exposed to the elements. How Large Should My Deck Be? The size of your deck is directly connected to the width of your house and the length of your backyard. However, many homeowners choose to build decks anywhere between 28 and 37 meters, as a general average. Will I Require a Permit for Building My Deck? Whether you require a permit or not depends on the area that you live in. The official website of your city should have a section dedicated to building permits that will inform you about requiring one for building decks or not. Materials for home decking equally depend on preferences and budgets. If you don’t have a large amount of money you are willing to spend for your deck, you will most likely choose timber. If so, it is recommended that you choose cedar for durability in time. However, cedar will need to be stained every few years, while composite decks are easier to care for. Recycled or composite materials require the least maintenance and will withstand the test of time. Can I Build My Deck on My Own? Nothing is impossible, of course, but it is always recommended to get assistance when dealing with complex construction projects like decks. A reliable team will point you in the right direction and guarantee that your deck is safe and sound for decades. How Can I Prevent My Deck from Being Destroyed by Weather Conditions? 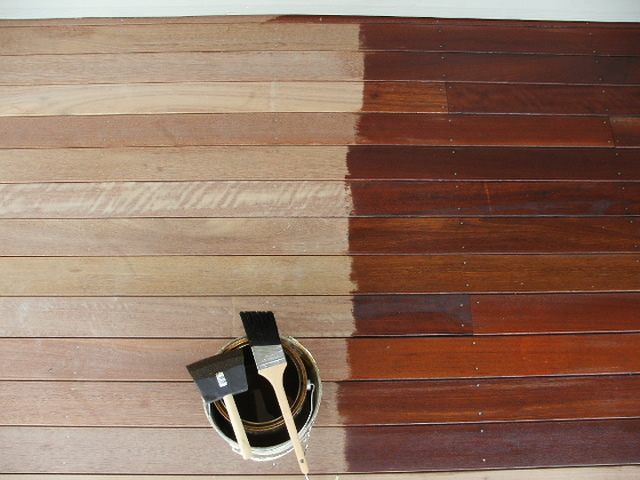 The key to maintaining your deck in time is to periodically clean it. You should clear any algae, moss, or dirt that might lead to the ruining of your deck. While composite materials don’t need to be stained, any type of wood will require this every two or three years. As a final note, we suggest that you put a lot of thought into your decking project before you get started. The concept, planning, and design are clearly the most important parts to consider and will determine the positive or negative outcome of your deck project. Don’t be afraid to ask for help – that’s what professionals are there for. Reliable companies will always be open to brainstorming for your projects and working around your existing budget. In the end, enjoy the process, and enjoy the results even more with your loved ones!